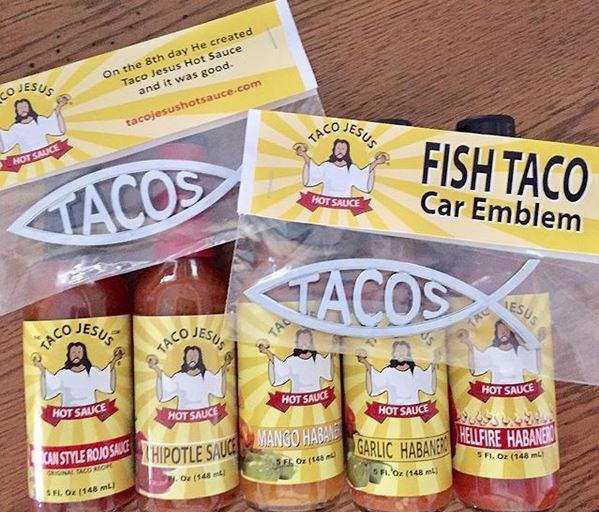 Everyone loves FREE andFriday only you will get a FREE Taco Jesus Fish Taco Car Emblem when you purchase any four bottles of sauce or more and use code FISH at checkout. Visit our online shop at tacojesus.bigcartel.com and use the code this Friday! This weekend is your last chance to place an order to arrive in time for Christmas!